eoplePerHour is a web-based freelance job marketplace that matches business needs with talents. It is ideal for both small business and enterprise human resource requirements, whether here or abroad. While the platform gives you a global talent pool on the spot, it also helps you zero in on local talents based on your specs. The provider claims to conduct assessment of talents prior to enrolling them in its database. This ensures you get a shortlisted list of candidates from the get go. Likewise, you can select either fixed price or per-hour rate, giving you budget flexibility. The platform has a neat dashboard where you can easily access tools for messaging, project tracking and history, among others. What are the highlights of this talent marketplace platform? These include a no-cost job posting and no-cost contest posting, ideal for small businesses with limited budget. It also has a two-way messaging space right inside the platform; you can keep your hiring conversations in one location for easy retrieval or reference. Likewise, PeoplePerHour offers file sharing so you can exchange documents without leaving the platform. It also provides escrow protection to guarantee that the hired talents accomplish the task. You’ll also like the invoicing and project tracking tools built inside the platform. The marketplace gives you access to talents everywhere, whether you need talent in your region or elsewhere. Smart filters let you narrow down your choice. At a fraction of a cost of hiring a full-time HR team or outsourcing to an agency, the marketplace increases your chances of getting the match based on your needs. Getting the right talent is key to staying competitive; job marketplaces like PeoplePerHour should be part of your business strategic toolkit. The provider assures businesses that its talent pool is assessed and shortlisted. You only get qualified candidates, it says, a big help in fast-tracking the hiring process. You can cost out non-critical work to a job marketplace like PeoplePerHour and reduce your operation cost significantly. The same is true with seasonal or project-based tasks. Similarly, it is easy to forecast costs when you deal with per-hour or fixed rates. 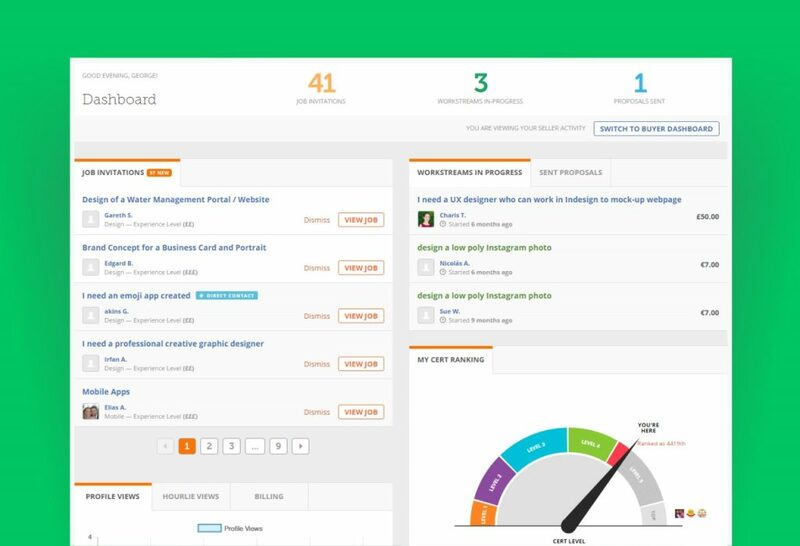 The platform gives you a dashboard to oversee the entire hiring process. You get all conversations, files and profiles in one location, with a dashboard that can make hiring smooth and without the clutter or problem of lost files or candidate data.